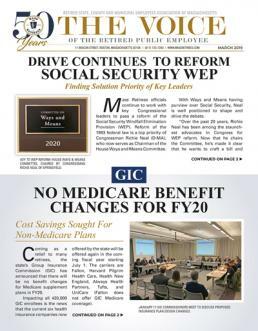 Articles about Member Stories that may be useful to Massachusetts retirees. July 06 - Push For Tax Break Continues - Over the years, members have read reports about efforts to get Mass pensions exempt from income tax in North Carolina. The name that has become synonymous with this endeavor is Association member Charlie Peckham. July 06 - Credit Union Boardroom Named in His Honor - Former State Retirement Board member Bob Cawley was posthumously honored by the State Employees Credit Union at the recent opening of the Credit Union’s new offices. July 06 - Reached Flood Level - Although it wasn’t of the magnitude of the flood which devastated New Orleans last year, nor the recent series of Florida hurricanes which impacted large numbers of our members, mother nature paid a visit to Northeastern Massachusetts this May, which raised havoc with a good chunk of our state’s population. MAY 2006 - Association member Bob Cole finally parted with a sign he stashed away a half century ago when the old Holbrook police station closed. MARCH 2006 - Received Visit From FBI - There's a $1 million reward for a lead that would result in the capture of James "Whitey" Bulger, but none of Henry Smith's neighbors will be collecting it. MARCH 2006 - We recently received word of the death of Association member Paul Keating, a heart transplant beneficiary who was the subject of a 1997 Voice article. JANUARY 2006 - Captures 54% Of Vote - Say hello to Association member Tom McLaughlin, the new mayor of the City of Woburn. newly adopted state taxed Mass. pensions. teacher, is one such individual. hard times, our members are known for coming together.